Upon graduation from high school, dancers are often forced to choose between going to college and pursuing a job at the professional level. A career in dance is short and often begins at a young age, some choose to put college on hold and wait until after their career is over to begin a college education. But, in today’s world, there are many viable options for dancers wanting to become professional performers. More and more dancers are choosing to educate themselves first while still dancing, and then make the leap into the professional world after completing their BFA or BA. In the end, each dancer must choose the best path to meet their own goals and satisfy their own welfare. There are so many pros and cons to consider on this subject. Our goal is to equip students and parents with information so that they can choose the path that best suits them as an individual and embrace the opportunities that come their way. It is imperative to understand why a dance degree at the BFA or BA level is of great benefit. An undergraduate degree, or even a graduate degree if one so chooses, is extremely beneficial to have in today’s workforce, whether or not you choose to perform professionally. To teach in all academic and university settings; to educate, choreograph, direct, the list goes on and on, you will be required to show that you have a degree. Of course there are always exceptions to the rule, but a very large majority of working artists do have a college education in their art field. In reality, it is very rare for students graduating from high school to go immediately into a company. In the ballet world this happens occasionally, and in the contemporary world this rarely ever occurs at all. I’ve seen it happen, but after over ten years of teaching, I can count those students who have successfully made that transition on one hand. Renowned choreographer Wayne McGregor once noted that ‘‘the job of a choreographer is to find what’s personal to them.” Powerful stories – told literally and non-literally – and the dances created to communicate them are rooted in the personal experiences, beliefs, interpretations and feelings of the choreographer. Without the deeply vulnerable, personal, and introspective work that it takes for the choreographer to create something memorable and powerful, the work presented moves along without life. Do You Want to Know What It Takes to be a Professional Choreographer? I sat down recently with Francisco Gella, Choreographer and Chief Creative Officer for Francisco Gella Dance Works, to delve into his own beliefs about his creative work. A self-described life-long learner, Francisco has been honing his craft for nearly twenty-five years beginning when he first experimented with choreography in his undergraduate composition classes. As a choreographer, Gella also understands his role as an educator, coach, mentor and provocateur – he believes that it’s important that artists not get wrapped up in their own ego or stuck inside their head. When a choreographer enters the studio s/he must respect the humanity and the essence of the dancers performing the work. That energy comes from the heart. This interview comes on the heels of a new initiative Francisco is undertaking to nurture out-of-the-box creative voices through New Century Dance Project (NCDP). For Francisco, the work itself that he creates is not the only thing that’s personal to him. Nurturing aspiring choreographers and opening up opportunities for established dance makers whose talent hasn’t yet been discovered inspires him deeply – in part because of his own journey. From his perspective, many companies have historically made ‘safe’ choices in well-known commodities, at the expense of true innovation and the embracing of diversity. So in the last part of the interview, you’ll learn more about the exciting things he is up to – and they might just involve you! Francisco Gella Dance Works proudly announces the ‘official launch’ of our Dance Scholarship Equity Program! The need is great. The inequality of opportunity is real. You can find hungry students wanting to pursue their dreams just about anywhere you go. Unfortunately the chances for a good many of these students to succeed are diminished due to circumstances they were born into – not ones they chose. But with a dancer’s strong desire and a persistent willingness to sacrifice just about anything to get there – and with the the combined creative efforts of individuals and organizations who care about removing barriers for any student struggling to make it happen – a whole lot of good can happen to change the landscape, to build a more inclusive dance community. Dance Scholarship applications are now being accepted. As a a professional working in education for more than half of my life and since graduating with my undergraduate degree, my entire working life, I am deeply committed to challenging the systems, decisions, beliefs and attitudes that we still often use as excuses for accepting the status quo. It is our own thinking that often gets in the way of real and lasting change. In my nearly 30 years as an educator, I can recall countless conversations with students, faculty, and colleagues about the rising cost of education, and the impacts on student access to opportunity. I have been part of numerous organizational efforts to reduce the opportunity gap – a gap which exists in good part because of persistent systemic inherent bias and in my opinion, a lack of will and persistence to effect change. I have seen talented, smart and motivated students dropout of college because they ran up against the wall of unaffordability or because they struggled to find their place and the support to succeed in learning environments that didn’t embrace their differences. Statistics show a clear link between a person’s race and ethnicity, and their access to a quality education. This sheds light on the opportunity gap that exists. To remove barriers for fuller participation from all students regardless of background we must first accept and acknowledge this truth. As a teacher, I see this on a daily basis. As someone who has sustained a major knee injury and had major reconstructive surgery as a result, I am adamant that students use turnout from the proper placement and do not over rotate. I am grateful that I had a teacher who demanded using turnout from the proper place. This emphasis on proper alignment in the body is crucial to being an injury-free dancer. I remained injury-free until I was 17 years old – while dancing full time, all day long. In today’s environment, I am seeing too many young dancers with injuries that could easily be prevented by maintaining proper alignment and not over-stressing the body by forcing it into positions that are not suited to their anatomy. Mastering technique… and the art of movement. What separates dancers who have mastered technique, from those who have mastered the art of movement is clear. Movement mastery requires that dancers couple their technical training with control, strength, and artistry. With technical expertise comes a refinement that allows dancers to speak clearly and eloquently through their movement, but it’s not enough. A dancer must learn to express themselves through these movements versus mastering the steps themselves. Think of technique as the vocabulary and grammar that you in need in order to properly formulate a sentence. Similar to the tone or resonance of your voice, a dancer must understand how to layer their artistry with their movement and technique in order to be seen, as an orator who uses intonation to evoke emotion within their audience. Don’t leave your future to chance… College is THAT important. One of the most important components of preparing for a career in dance is to demonstrate the ability to set yourself apart from the crowd. This ability is expressed in who you are as a dancer but it is also developed within your learning environment. 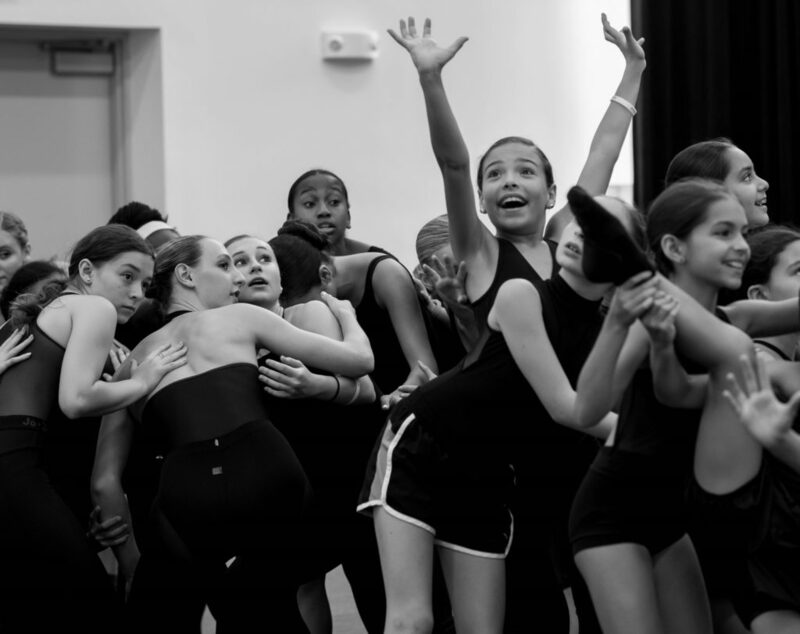 It may seem like there is always time to get ready for college but dancers who are serious about preparing for their future, start planning for this process as early as 7th grade. While it’s a common thought for some dancers to think they don’t need college, a fantastic way to get your foot into more doors – and to prepare for a long and sustainable career – is to obtain a college degree. Obtaining a college degree displays that you can personally and artistically commit to a desired course of action and succeed in reaching a intentional outcome. The ability to address issues and the maturity to resolve them is a benefit of attending college and one that is essential to many of the most successful dancers in the world. It’s crucial to understand that there is a whole world to explore outside of just dance studios and stages, therefore understanding the college application process can be a life changing tool for many young aspiring dancers.